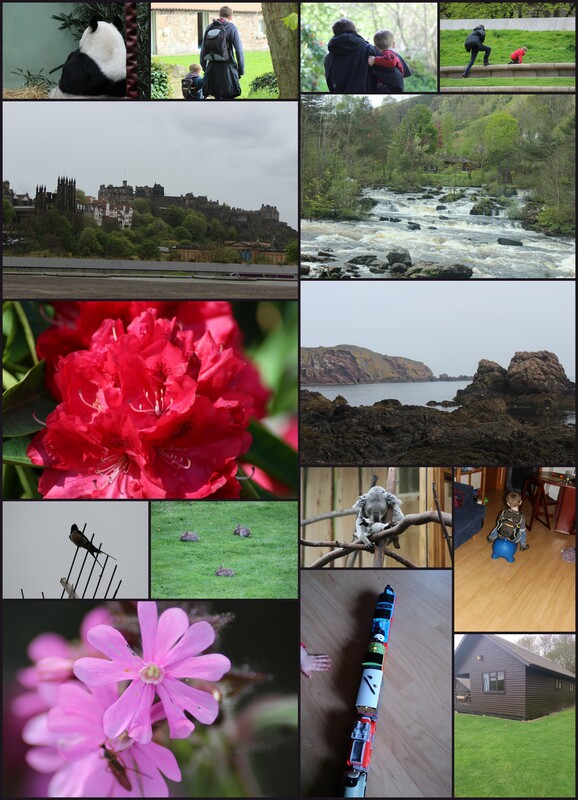 This time we have been away for a full week staying in a self-catering lodge on the Lauder Camping & Caravanning Club site. DH & I have camped (in tents then folding campers) since we first met 8 years ago, but at the moment own nothing to camp in. This is a conscious decision we made during home study last year to sell our folding camper (third we’d owned) as we were not going to get any use out of it last year or this we suspected. Ongoing discussion about if we are going to replace it and with what – tent, folding camper or a caravan. Problem is both of us passed our tests post 1997 so have restrictions on towing so think DH is going to sort that out first. Plus we probably need to make decision about adopting again – which puts things to Xmas of next year. Not certain which way that decision will go as I am very much more in favour and DH is against at moment. One thing we have agreed is to discuss another adoption once Sqk has finished his first term in reception unless birth sibling appears in meantime (which will make DH more favourable towards idea). However this week as DH put it has felt like a real holiday. we have relaxed, slept lots (in DHs case particularly) and actually had a couple of mornings where it has been 8am before Sqk has been moving. One due to him not sleeping till late and the other unfortunately being due to him waking with a night terror last night (to do with me) and taking a long time to settle – I was with him for over an hour. However he has been a very good sleeper – much better than with my parents on Isle of Wight which is almost certainly down to him being in a different room to us. 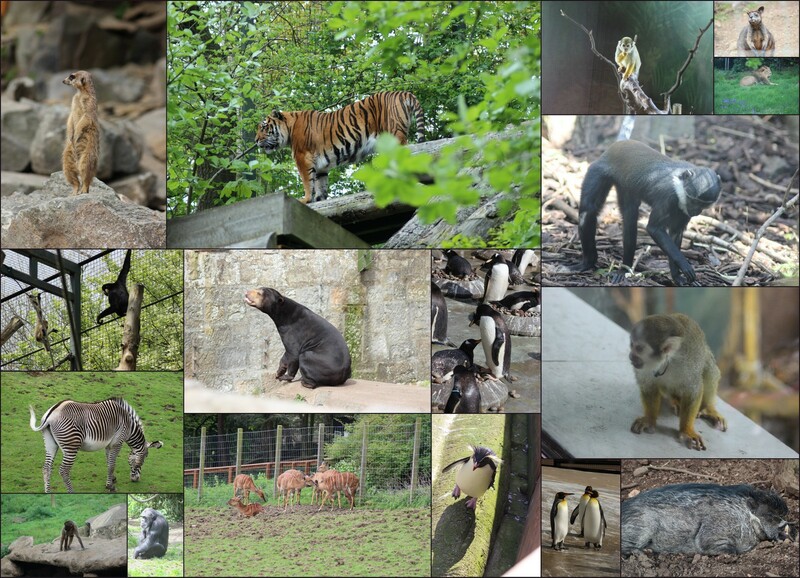 We’ve had a lot of fun – I think the highlight for us all was going to Edinburgh Zoo on Tuesday – Sqk really enjoyed watching the animals and was fascinated by the monkeys (we kept getting requests to go back to see them). He has also just enjoyed the space to run and be with us – we’ve made a point every day of giving him some freedom to run around and just enjoy exploring the world around him. Even when we went to Edinburgh on Wednesday we wandered up to the Castle, down the Royal Mile (in his buggy) and let him have a run in the gardens outside the Scottish Parliament as well as later in Princes Street Gardens. At the moment he is happy with space to run safely and to spend time exploring the world out there. Both DH & I enjoy walking so hopefully as Sqk grows older we will be able to do that as a family. Edinburgh is also where we got the news that we have a (third) date for our adoption order hearing where we have everything crossed it will actually finally be granted. All in all it has been a good week with Sqk seeming to more and more come to accept us as a family. He had us in giggles at one point when he kept asking ‘What’s your name Mummy/Daddy?’ (answering his own question in the question) and also happily telling us his name. His speech is coming on really well now and we suspect he is going through another growth spurt the amount he is eating at the moment. Plus I looked at him today as he happily ran on in front of us and realised once again his body is much longer than his legs – whereas a few weeks back everything looked in proportion. He and I will be paying a visit to Daddy at work to measure a young man again next week. I suspect I am going to find next week hard after having DH round for a good while, although this time at least we have pre-school so Sqk is away from me for 3 sessions a week. Plus we go to see his childminder to discuss the transition as I go back to work in 2.5 months. We have plans DH & I and have to hope she is happy with them as they involve him starting off with her half a day a week and gradually building to the 4 full days he will be there. Of course at back of my mind is the fact that if he really does struggle I will cut my hours down and go part-time. I actually work 4 days a week at work and am planning to continue to do so. If I can cut my teaching down it may be I go to working at home 2 days a week once Sqk is in school (get stuff done in half the time it takes at work) but this is all to be seen as I return. Sqk has settled really well at pre-school so we have hope.